If you want to enjoy a good meal outdoors on your patio, it’s nice to have a suitable patio dining set. You can entertain your guests or just have a great Sunday meal with your family. Of course, not all furniture is suitable for your patio. You need to consider outdoor elements like rain and harsh weather. You cannot just use your indoor furniture and bring them out. We have selected the items below for you based on their materials and durability for patio use. When planning what furniture to use for your patio, it would also be great to incorporate decors that are suitable for outdoor use. Take a look at these easy breezy patio decorating ideas. You might also want to install an umbrella and here is the best patio umbrella. There are different types of a patio dining set with various designs and construction. How do you choose the right one? Our list includes only the best choices. 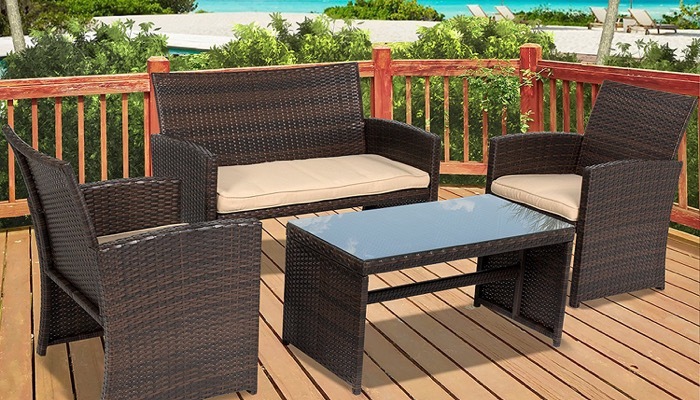 First on our list is the Best Choice Products Wicker Outdoor Patio Furniture Set Cushioned Seats. 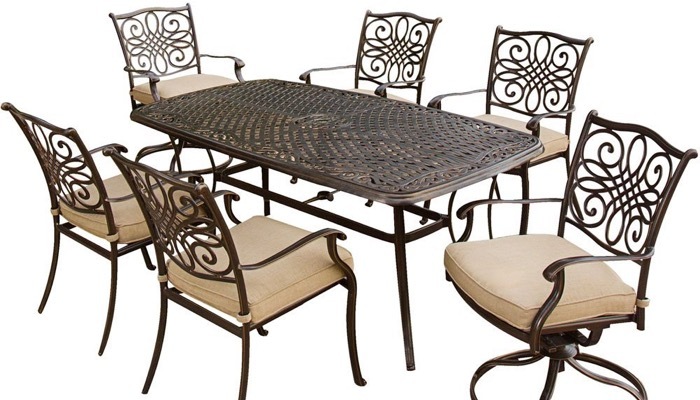 This is a versatile patio dining set that has a moderate and is versatile. It includes a double sofa, two single sofas, and table that you can arrange in a variety of ways. The modern design will revamp your backyard with its classic brown color. It’s easy to maintain and will look new even after several years. The furniture has a wicker construction with padded cushions and tempered glass for the table. 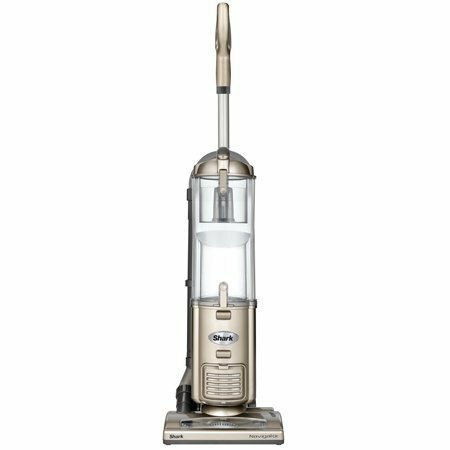 It has removable covers for easy cleaning. It has a sturdy steel frame that can support up to 300 pounds. Next on our list is the Hanover Traditions Deep-Cushioned Outdoor Dining Set. It beautifully transforms your backyard into an elegant outdoor dining and entertainment area. It has superior quality and comfortable feel. This patio dining set features natural oat colored cushions that are built to last with their high grade 100% polyester foam. The fabric of the pillows is designed for quick drying. It includes and alumni-cast dining table that features an antique finish to compliment your outdoor living space. The swivel rocking chairs are also a highlight with the same comfort and 360-degree capabilities. If you want to go with the bold and simple design, the Home Styles Biscayne 5-Piece Outdoor Dining Set, Black Finish is great for you. 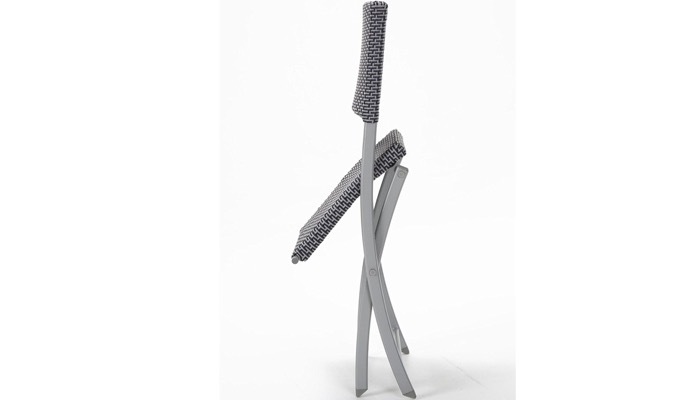 It features intricately designed metal work with solid cast aluminum construction. It’s heavier than hollow aluminum so it’s durable and lasts for years. This patio dining set is maintenance free and can also accommodate an outdoor umbrella and stand. 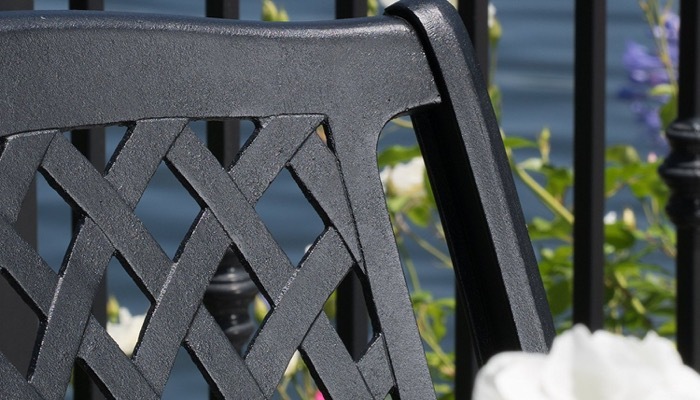 The antique powder coat finish has a clear protective coat to endure the weathers. It has an attractive pattern and comes in an elegant black finish. For those with a bigger family or who anticipate more number of guests, the Baner Garden Outdoor Furniture Wicker Rattan Dining Set, Full, Black is an excellent choice. You can create a peaceful haven in all four seasons. This patio dining set has a modern style that enhances the look of your décor. The frame of the seating group is stainless steel and provides durability and sturdiness. Its woven resin wicker material enhances the aesthetic appeal of the furniture. It is low maintenance and is weather resistant. 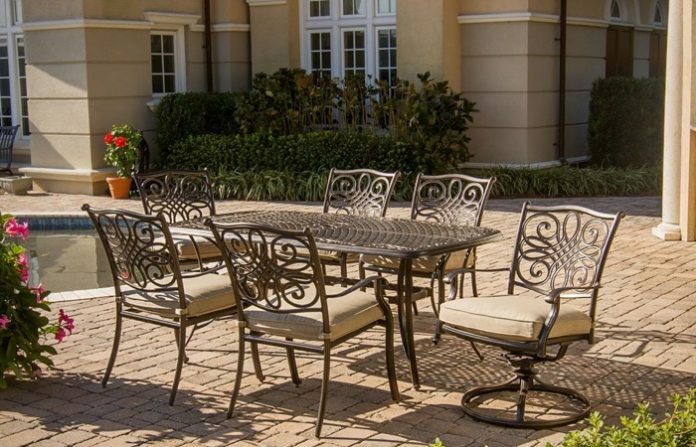 Another simple but elegant option is the Great Deal Furniture Marietta Outdoor Cast Aluminum Dining Set. You will enjoy the aluminum detailing of the matching table and dining chairs. 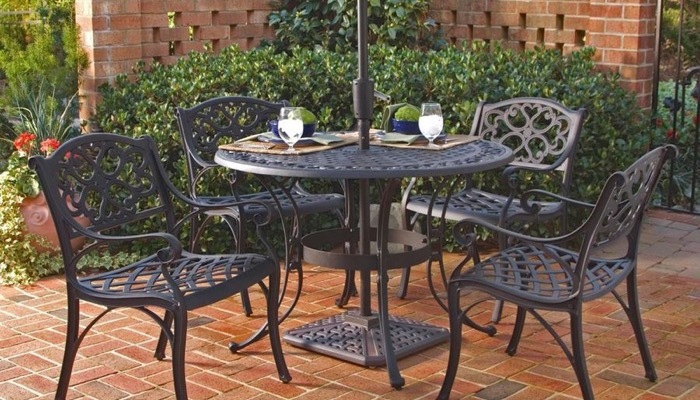 This patio dining set is great for entertaining your guests in style with its signature Marietta look. It’s durable and is built to last for years to come. The table also features a 2-inch umbrella hole so this will be a perfect furniture to install your patio umbrella on. 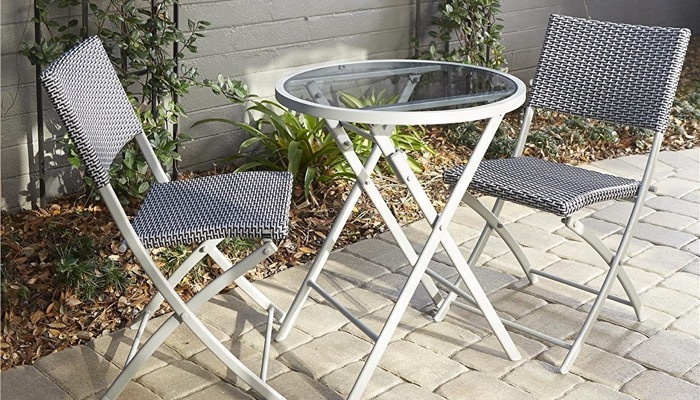 If you don’t anticipate a lot of people using the dining set, an affordable option is the Cosco Outdoor Delray Dining Patio Bistro Set, Steel Frame. It’s perfect for those with small outdoor space. 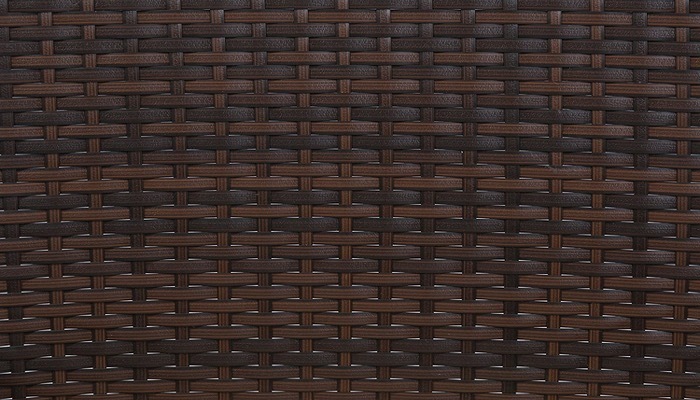 This patio dining set features a two color weave and the folding chairs will match any outdoor patio furniture décor. The folding tempered glass table completes the dining set. It’s a transitional small space appearance. The traditional dining height will allow you to rest your feet comfortably on the ground. 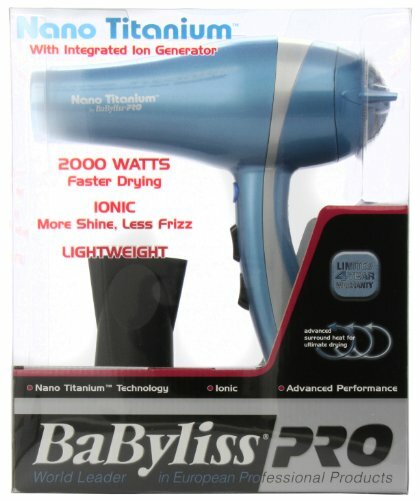 It’s weather-resistant and easy to clean. When you set out to choose your patio dining set, you need to keep the weather in mind as well as your space. Think about the climate in your area and how many people are going to use it. Consider the prominent weather in your area. Does it rain often? This is important because hot dry conditions can make some wood splinter and crack. Strong winds can also make aluminum furniture fly. Wicker, on the other hand, cannot withstand constant exposure to moisture. So think about the weather very carefully. You also need to think about how much space you have in your outdoor area. Your patio dining set should be suitable for space and if you have an outdoor umbrella, it should fit in the hole as well. For those who like cooking outside, here is the best outdoor grill. In relation to space, you should also think about storage. Your patio dining set should be stored when not in use or during long periods of time that you think the weather is not improving. This will prolong its life. If you have small storage space, choose furniture that is foldable and easy to store. 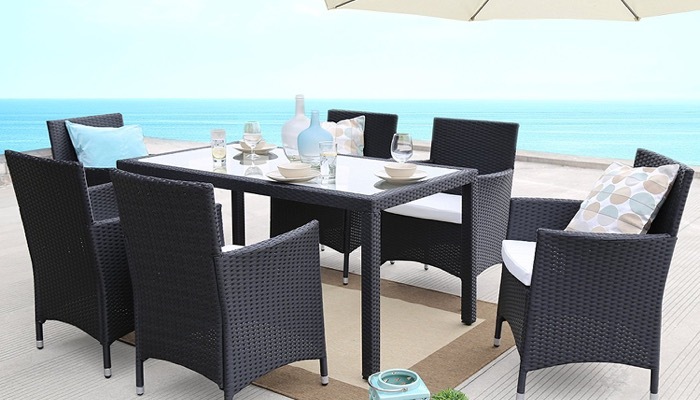 Patio dining set that has wicker material looks very good outdoors. But when it’s always out in the sun, they may become brittle and lose the vibrancy. So make sure to maintain it properly. Metal is great and durable but you need to consider rusting. 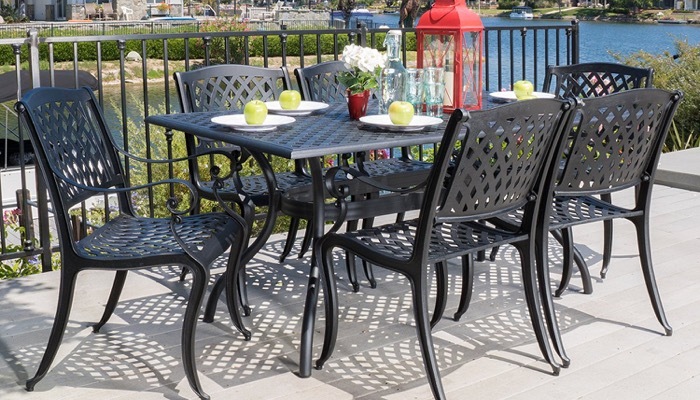 If you choose a metal patio dining set, check if it has a protective powder coating to keep it from rusting. Finally, your patio dining set style should go well with your outdoor décor. But when choosing styles, it’s best to keep functionality and versatility in mind. 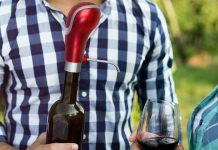 On the other hand, if you have a garden in your front or backyard, you may also check out our take on the best lawn sprinkler. Bread Maker vs Oven: Which One Is For You?